We know more about distant alien worlds and moons than we know about the planet we live on. There are many parts of our planet which still remain unexplored, despite the fact that we have spacecrafts—like the voyager—which have already left our solar system. Just as we still don’t know everything about the surface of our planet, to date we have explored less than five percent of the ocean. Much remains to be learned from exploring the mysteries of the deep. Only about 5% of the world’s seafloor has been mapped in some detail. Since the ocean occupies roughly 70% of the Earth’s surface, this leaves approximately 65% of the Earth (excluding dry land) unexplored. Interestingly, it is believed that around 50-80% of all life on our planet can be found under the ocean surface and the oceans contain 99% of the living space on the planet. Curiously less than 10% of that space has been explored by humans. 85% of the area and 90% of the volume constitute the dark, cold environment we call the deep sea. So what are we waiting for? Isn’t it time to start exploring our planet before we wonder off to Mars, or return to the moon? Some efforts to explore what’s beneath us have been made in the past. Referred to by many as the ‘Door to Hell’, at 12,262 meters the Kola Superdeep Borehole is the deepest artificial point on our planet. In 1989 drilling experts reached 12,262 meters (40,230 ft), successfully creating the deepest artificial point on our planet. 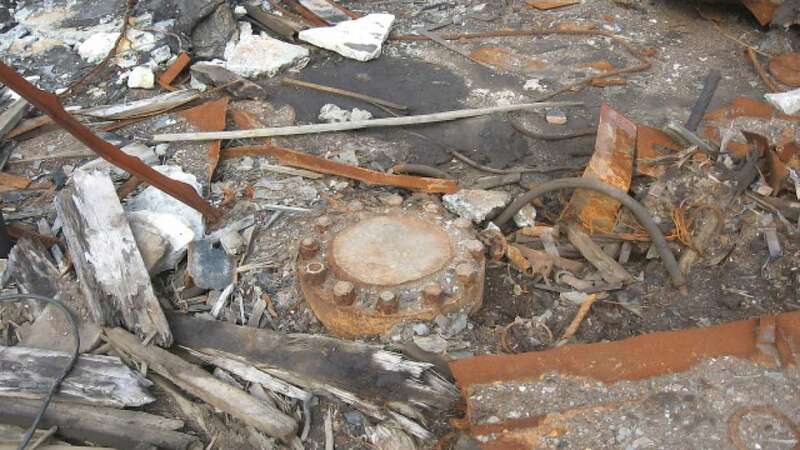 Interestingly, the Kola Superdeep Borehole descends further than the deepest point of the ocean, which lies at nearly 6.8 miles (11 kilometers). The borehole is only 23 cm in diameter. While experts only managed to drill 12,263 meters, their main goal was set at 15,000 meters. However, because of higher-than-expected temperatures at this depth and location, 180 °C (356 °F) instead of expected 100 °C (212 °F), drilling deeper was deemed unfeasible and the drilling was stopped in 1992. In terms of depth, it is the deepest borehole in the world. For two decades it remained as our planet’s longest borehole, in terms of measured depth along the well bore, until it was surpassed in 2008 by the 12,289-metre-long (40,318 ft) Al Shaheen oil well in Qatar, and in 2011 by 12,345-metre-long (40,502 ft) Sakhalin-I Odoptu OP-11 Well, offshore the Russian island Sakhalin. The Kola Superdeep Borehole is said to have drilled through a third of the way through the Baltic continental crust, which experts believe is around 35 kilometers deep. Furthermore, the drill reached rocks of the Archaean age (greater than 2.5 billion years old) at the bottom. So what did experts find? While experts gathered a great amount of data during the project, they made some staggering discoveries. Cracks of the rock many kilometers below the surface were found to be saturated with water. However, the most important and unexpected discovery was the detection of biological activity in rocks more than two billion years old. As noted by Atlas Obscura, the clearest evidence of life came in the form of microscopic fossils: the preserved remains of twenty-four species of single-cell marine plants, otherwise known as plankton. Microscopic fossils of single-celled organisms 7 kilometers beneath the surface. At approximately the same depth, scientists found traces of water. Umm… Our planet has Gas 😛 Surprisingly, nitrogen, helium, hydrogen, nitrogen, and even carbon dioxide (originating from microbes) were discovered all along the borehole. There isn’t basalt down there—which is one of the greatest surprises. Scientists believed that at 9,000 meters the granite would give way to basalt. However, to their surprise, it doesn’t. The temperature was shockingly high. At the bottom of the hole, their instruments measured a staggering 180°C, one of the main reasons why drilling was discontinued. But perhaps what’s even more impressive is the fact that scientists estimate that the distance to the center of our planet is nearly 4,000 miles (6,400 kilometers). Turns out, 6,500 kilometers isn’t anywhere close and what scientists managed to drill trough barely scratches the surface. Featured image? It’s hard to show the importance and size of the Kola Superdeep Borehole. Seen in the featured image is the Mirny Diamond Mine in Siberia. The RUSSIANS have just reached SATURN !!! Previous Article← The 200 million-year-old shoe print—time to rewrite history?